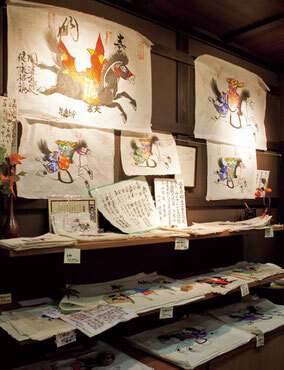 In Hida Takayama, there is a Matsukura Ema Fair held annually along Hachikenmachi Street on the 9th and 10th of August. The street is filled with people from neighboring towns and villages who visit to purchase Emas. People then take the Emas to Matsukura Kannondo, a temple in the middle of Mount Matsukura, 4 km west of Takayama's city center. 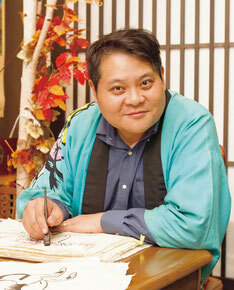 People who buy new Emas receive a prayer and a red seal from "Hida Matsukurasan" (Hida Mt. Matsukura). 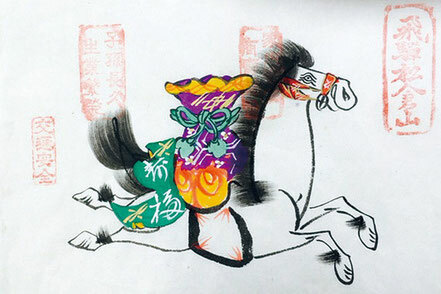 It is believed that if people place an Ema on the wall of the entrance so that the horse's head faces the back of the house, those living or visiting the house will have good luck for an entire year. The image of people visiting from Takayama or other locations in Japan to buy Emas and visit Matsukura Kannondo Temple has become famous nationwide as a representation of summer in Hida Takayama. During the fair's heyday, more than 20 shops were selling Emas along Hachikenmachi Street. Ikemotoya competed against other shops as one of the "Five Hachikenmachi Shops", the most popular shops making the original blocks. However, when World War II ended in 1945, due to a lack of materials and skilled artisans, the other shops closed down. Ikemotoya is now the only shop on the street. 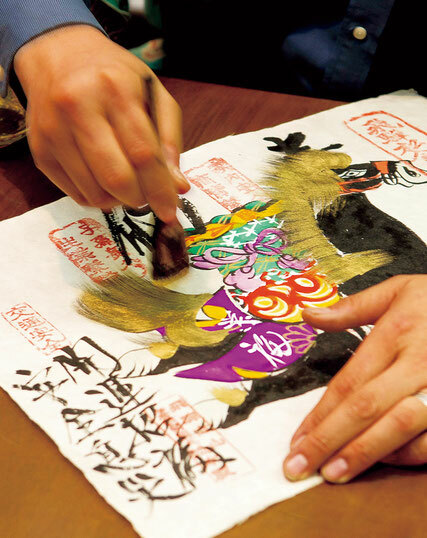 The shop still uses handmade paper from Gifu Prefecture and makes the original blocks by hand in the traditional way, as well as faithfully following the special painting method and other customary practices. From the Takayama Station, you can get to our shop in 7 minutes on foot. Copyright(C) IKEMOTOYA All Right Reserved.